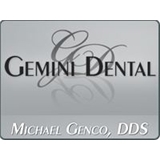 Gemini Dental (Brooklyn) - Book Appointment Online! Thank you for choosing Gemini Dental, a premier dental practice. We are committed to offering the best dental care possible in a compassionate, relaxed, comfortable atmosphere, utilizing the most advanced technology available. Our office is also committed to maximizing your insurance benefits. Although we are out of network with Aetna, Cigna, and MetLife we do take these insurances. As a service to our patients, we will bill insurance companies for services. If you have any questions, our courteous staff is always available to answer them. It was a great visit, the staff was polite and welcoming, the doctor explained everything to me in a way I understood and gave me a few suggestions for things to do in the future to make sure my teeth stay healthy.